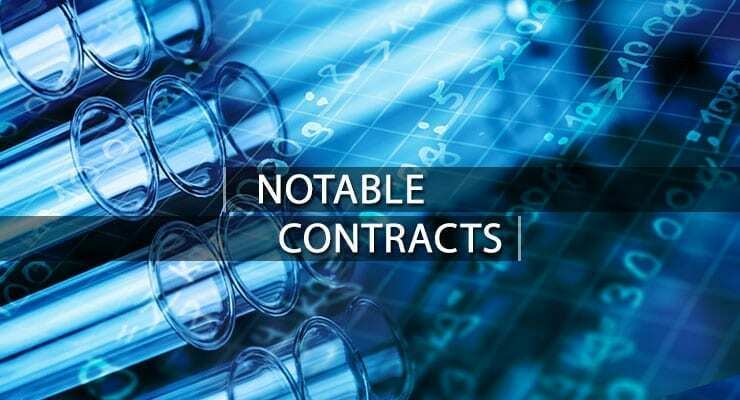 The National Institute of Allergy and Infectious Diseases (NIAID) has exercised a funding option with Soligenix, Inc. to advance preclinical development of OrbeShield, a radiation medical countermeasure. The 12-month option provides an additional $2.1 million to Soligenix to advance OrbeShield for the treatment of gastrointestinal acute radiation syndrome (GI ARS). NIAID granted the award of up to $6.4 million over three years on September 18, 2013. Soligenix’s GI ARS program is supported by contract awards from both the Biomedical Advanced Research Development Authority (BARDA) and NIAID, totaling up to approximately $32 million. “The execution of the second option reflects NIAID’s ongoing commitment to developing MCMs for GI ARS and the compelling nature of Soligenix’s OrbeShield product,” stated Christopher J. Schaber, PhD, President and Chief Executive Officer of Soligenix. “This continued funding, plus the BARDA contract awarded, has the potential to provide the necessary funding to advance the development of OrbeShield while building upon the scientific evidence supporting its use as a potential MCM in GI ARS. ARS occurs after toxic radiation exposure and involves several organ systems, notably the bone marrow, the GI tract and later the lungs. In the event of a nuclear disaster or terrorist detonation of a nuclear bomb, people exposed to radiation levels greater than 2 Gy are at high risk of developing ARS. Exposure to high doses of radiation exceeding 10 to 12 Gy causes acute GI injury, which can result in death in 5 to 15 days. The FDA has cleared the Investigational New Drug (IND) application for OrbeShield for the mitigation of morbidity and mortality associated with GI ARS. OrbeShield has also been granted Orphan Drug and Fast Track designations by the FDA for the prevention of death following a potentially lethal dose of total body irradiation during or after a radiation disaster. In addition to developing OrbeShield (oral beclomethasone 17,21-dipropionate or oral BDP) as a medical countermeasure, the company is also pursuing oral BDP as a treatment for GI inflammation in pediatric Crohn’s disease and acute radiation enteritis. OrbeShield is a registered, protected term by Soligenix.